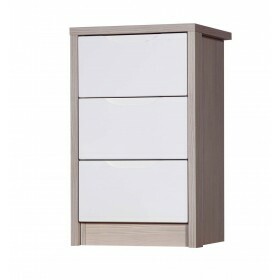 Four drawer tallboy from our stunning new designer bedroom furniture range.Natural carcass colours with subtle cream gloss fronts and shaped inset handles.Supplied assembled.FREE Express Delivery. 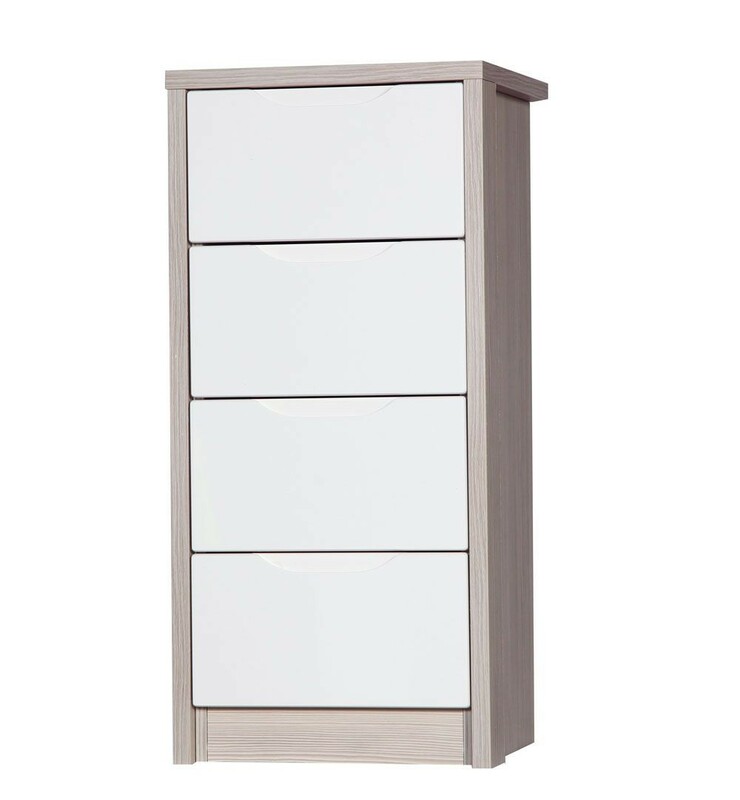 Brilliant new range of high quality bedroom furniture.Beautiful textured carcass combines with contemporary gloss drawer and door fronts. Heavy grain champagne colour carcass. Premium cream gloss fronts and doors. 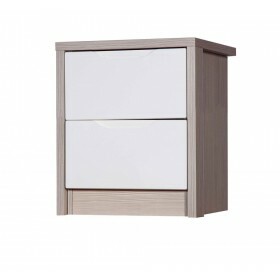 18mm MDF drawers,tops and doors. Floor guards to protect your floors. Assembled pieces dowelled, glued and pressed in a clamp.